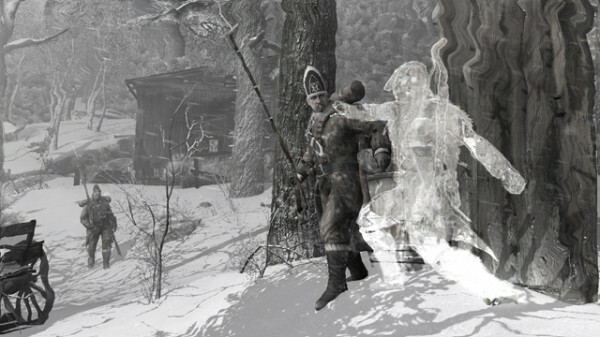 The Infamy, the first episode of Assassin's Creed III's The Tyranny of King Washington expansion, sets up an interesting plot line, but it's held back by a lack of variety. Say what you will about downloadable content, but there’s no denying the fact that it offers developers a level of creative choice that core campaigns do not. After all, you don’t want to go too far out on a limb when you’re trying to make an intellectual property, or a sequel, a multi-million seller. Leave that for the add-ons, as therein lies the time where experimentation, unique mechanics and potentially taboo subject matter can be toyed with. What’s mentioned above seemingly describes Ubisoft’s mentality when it comes to the Assassin’s Creed franchise – its latest release in particular. 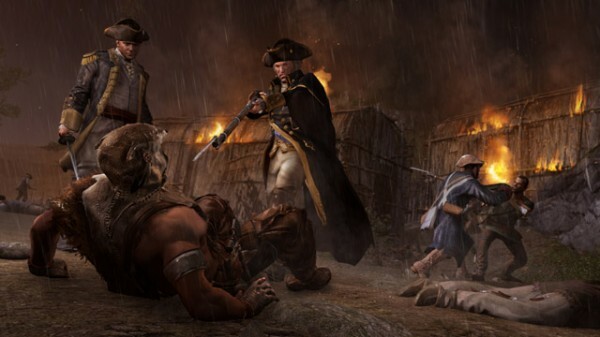 That’s because, after wowing the gaming community with a thoroughly engaging and historically influenced trek back to the American Revolution with Assassin’s Creed III, the publisher and its in-house development team have taken things into the weird zone with the open world action-adventure title’s first downloadable add-on, The Tyranny of King Washington. If you’ve ever found yourself interested in alternate realities and surreal takes on American History, then it will surely be up your alley. That is, as long as you keep your expectations at bay a bit. Dubbed The Infamy, the debut episode of The Tyranny of King Washington marks the beginning of a very interesting narrative experience, and one that is filled to the brim with potential. Taking creative freedom with yesteryear, it sees Connor, everyone’s favourite native assassin, enter into a new reality, which is vastly different from he’s used to. In fact, the word surreal comes into play, because that’s truly what it is, as it resurrects Connor’s mother and places her into the middle of a plot to overthrow George Washington. Yes, you read that right – the former President of the United States, George Washington, has gone mad with power, after coming into possession of an Apple of Eden. Using it as the driving force behind an incredibly powerful scepter, he’s taken over the country and has installed himself as a monarch with the help of some allies who, themselves, have also been ripped out of the pages of American History textbooks. At the beginning of this two to three hour-long introduction, Connor awakes from a nap and finds himself in the middle of a forest. Surrounded by trees and flanked by his mother of all people, the adult-aged hero is understandably confused, much like gamers will be. However, as is the case with us controller-using folk, the protagonist is forced to learn things as he progresses, because there’s no time to waste. The native people are under attack, and it’s happening because Connor’s mother attempted to take matters into her own hands. The last time you played Assassin’s Creed III, you most likely had a plethora of weapons at your disposal, along with a richly woven uniform. That isn’t the case here, though, as the separately listed and launched introduction episode reintroduces Connor as an unarmed man, not to mention one whose attire consists of traditional pelts. Without offense or protection, apart from what his maker (Ubisoft, in this case) gave him, he’s forced into melee combat against a group of Blue Coats, and things escalate from there. It isn’t until later on that players actually gain access to Connor’s trusty hidden blades, which obviously make things easier. As such, evading or blocking attacks is key during the early portion of The Infamy. If you want to live, you’ll need to plan ahead and rip weapons out of enemies’ hands. It’s pivotal, and is required if you plan to try to protect your mother, the target of King Washington’s wrath, and your people. Don’t worry, though – things do improve. The inaugural battles may be on the challenging and somewhat basic side, but they’re offset by a bit of cannon firing and end up being alleviated by an incredibly helpful animal ability known as Wolf Cloak. As its moniker suggests, Wolf Cloak lets Connor become invisible for a limited amount of time, with the downside being the loss of health. The longer you stay invisible, the more health you’ll lose – it’s that simple. Thankfully, the meter doesn’t drain quickly, allowing upwards of three stealth-based kills during one life. Needless to say, it’s a helpful asset, though the series’ purists could also label it as being a crutch. I quite enjoyed using it, though, and am looking forward to seeing how it’ll be used in the two upcoming episodes. The new mechanic certainly added a bit of extra depth into the experience, thanks to the inclusion of guard dogs that can smell the assassin even if they can’t see him, but it made the final hour of The Infamy easier than expected. 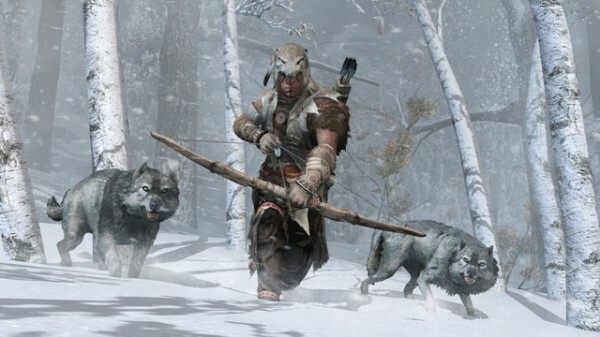 The same is also true of Wolf Pack, a secondary ability that ties into the first, allowing Connor to send a pack of spirit wolves at enemies. Other than its noted differences, The Tyranny of King Washington‘s debut plays as you’d expect: like Assassin’s Creed III. As such, it includes stealth takedowns, parry-based combat and tons of exploration. On top of that, its wide-open world is home to a few side mission variations, including convoy attacks and rescue missions, wherein players must save helpless civilians from angry wolves, murder-plotting Blue Coats or starvation. Those, along with each DNA sequence’s secondary objectives, will add extra time to completionists’ playthroughs. If all of the above-mentioned descriptors combine to create a digital experience that you think you’d enjoy, then this add-on is something that you’ll surely want to invest in. While it’s not perfect, suffering from glitches, repetition, at least one faulty achievement and a general lack of variety, there’s definitely a lot of promise in Ubisoft’s digitally crafted alternate reality. This inaugural episode is simply an introduction, so it’s easier to overlook its deficiencies, but let’s hope that episodes two and three will blow us away with their creativity, storytelling and design elements. This review is based on the Xbox 360 version of the add-on, which we were provided with.